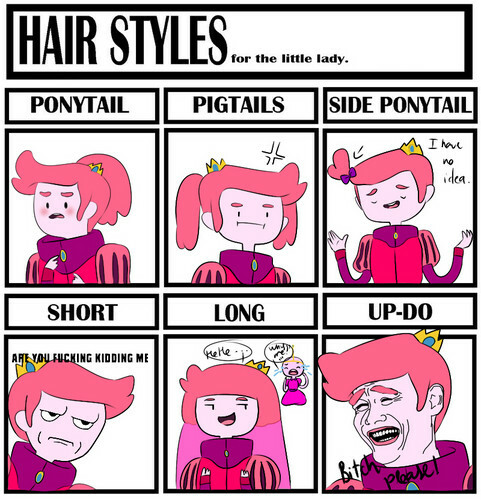 PG hair styles. Prince Gumball with different hairstyles. HD Wallpaper and background images in the hora de aventura club tagged: prince gumball funny adventure time. This hora de aventura photo might contain vitral, animado, cómic, manga, historieta, anime, and dibujos animados.